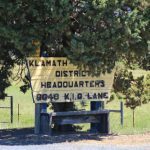 During the Thursday, September 8th meeting held at the boardroom of the Klamath County Fairgrounds, the majority faction of the Klamath Irrigation District Board of Directors voted 3-2 to hire 66-year-old Texan John Wolf as District Manager. Despite his lack of computer skills, familiarity with GIS, limited irrigation experience and no experience in writing grants, Chairman Cheyne, Vice Chairman Knoll and Mr. Smith felt the Waco, Texas heavy equipment manager was more qualified than local candidates Shane McDonald, 42, and Scott Cheyne, 47. While both candidates are familiar with the Klamath Basin and McDonald, current manager of the Enterprise Irrigation District, would have brought experience to the position, the majority faction preferred Wolf. Though former KID manager Mark Stuntebeck was paid $83,000 before resigning, and despite a lack of demonstrable experience in running an irrigation district, Cheyne, Knoll and Smith offered Wolf $100,000 to take the position. While in many normal management positions there would be a probationary period for the hired hand to prove himself, there isn’t one for the new irrigation district manager despite requests by the KID board members Cacka and Carleton to include such provisions in Wolf’s contract.. Regardless of whether or not Mr. Wolf is a nice guy and likes the Klamath Basin because it reminds him of Colorado, the fact of the matter is Cheyne, Knoll and Smith chose someone with little to no experience in running an irrigation district is a massive concern. Paying that sort of salary for such little experience proves to us these men cannot be trusted with making wise financial decisions. One irrigator pointed out, “The water he can learn, the ditches he can learn,” but Mr. Wolf still doesn’t have computer skills, grant-writing experience or familiarity with GIS nor the intricacies of running the second largest irrigation district in the Klamath Basin. 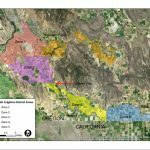 Does this really look like a sound decision for the Klamath Irrigation District? For more about the hiring of the new KID manager, see the Herald and News article “KID board split on $100K contract for new manager“.